Specialist business development consultancy and contract services to support business growth in a global economy. With many years of international sales and marketing experience in multiple sectors, Coyne Sales and Marketing can help your business to expand. We’ll help you to trade profitably from new markets, channels and sectors. Typically this will either be for exports from the UK, new market development within the UK or exports from overseas into the UK. The latter is focussed on the healthcare IT market; otherwise broad sector experience is available to support many types of business. opening up target markets with first sales. A ‘graduate’ of Passport to Export (now run by DIT), Chris Coyne has worked with UK Trade and Investment and British Embassies/Chambers of Commerce, worldwide. This includes EMEA, Asia & the USA while at several companies and on consultancy assignments. HIs previous consultancy, Custometrix provided qualitative research for the Eastern Region of UKTI on the effectiveness of Passport to Export, at the time. He also benefited from consultancy referrals from UKTI and the local Business Link team, usually for market research and business development work. Consequently expert advice is available as to the best ways of extracting UK Government support for funding export campaigns. 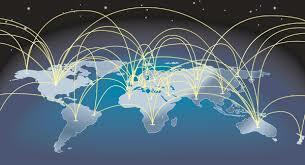 Services are available for EU export support and to the rest of the world beyond. Don’t let politics and Brexit get in the way of business. Don’t wait until the government signs new trade deals. Let Coyne Sales and Marketing help you to get the international trade deals you want, now! New business development consultancy that links your marketing and sales requirements into effective ‘Go To Market strategies. For businesses that laack the bandwidth to take on new business opportunities and don’t want to recruit until momentum is built. This service allows you to dip your toe in, without overstretching your existing infrastructure or pressuring current business relationships. Finally, we have a service for businesses outside of the UK, specifically related to healthcare IT products and software development. If you are looking to access the lucrative NHS market, Coyne Sales and Marketing offers a specialist international sales support service. For healthcare IT exports to the UK, Coyne Sales and Marketing has a flexible, experienced sales team available. Specifically for software companies looking to access the national health service (NHS) in the UK, we can make the sales process simpler, faster and more profitable. There’s no such thing as a single point of access to the NHS. In fact, there are different NHS organisations in each of England, Wales, Scotland and Northern Ireland, all organised differently. Decision-making is decentralised, particularly in the larger market, England. 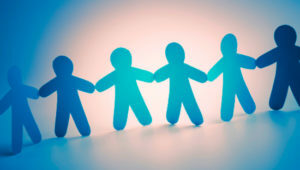 Businesses hoping to access it need to have a local partner that can mobilise an experienced business development team. Furthermore, it should be oOne that’s familiar with the buyers, the buying methodology and the environment.